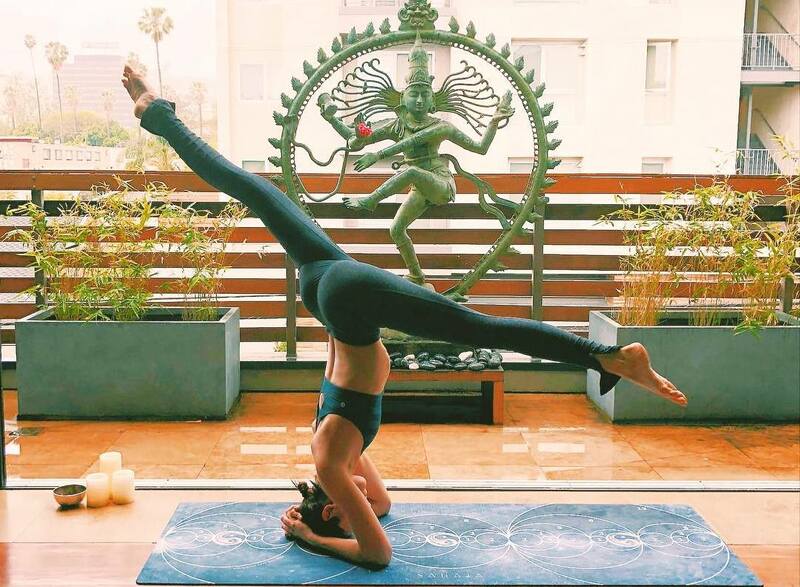 Whether you’re looking for a traditional yoga experience, a modern take on the historic practice, or inner peace in the bustling City of Angels, the LA yoga scene has you covered. And while it may be difficult to let go of some earthly attachments (aka an extra hour of sleep), there are some incredible LA yoga studios eagerly awaiting the chance to turn your sleep-deprived yawns into yoga-powered oms! Believing that yoga works for everyone, YogaWorks teaches ancient yoga practices to combat the challenges of modern-day living. With a whopping 17 locations scattered throughout the City of Angels, even the pickiest of yogis will easily find something that works for them. Class categories like “Faster Flows” and “Slower, Stretchier Sessions” thoughtfully complement our bodies’ needs while “Yoga Education” and “Family-Focused” Classes target those hoping to learn more and practice with those closest to their hearts (and sweaty bodies). Wanderlust Hollywood goes beyond a yoga studio — it’s also a cafe and event space. And not only do they host a range of yoga classes daily, but they also host movie nights, kombucha making classes, yoga workshops, and more. Wanderlust has built a community of yogis who are looking to nourish their mind, body, and soul. This isn’t your traditional yoga class. It’s like yoga x100. It’s a high-intensity workout which means you could very well be doing arm raises with 5lb. weights in your hand while standing in Warrior pose, in a room heated up to 98 degrees. And if the heat isn’t your thang, fortunately, they offer different types of classes and levels. Needless to say, there will be sweat. Lots of it. Come see CorePower at any of their MANY LA area studios. In Venice Beach, The Yoga Collective creates a vibrant and down-to-earth community with traditional and peaceful yoga experiences. From a friendly “family” of 14 instructors, yogis take classes centered around flow and rooted in the traditions of Ashtanga and Iyengar while working up a sweat in Vinyasa, Pranayama, and Power yoga styles. Classes like the Soulful Heart Opening Flow do our hearts good while our bodies are strengthened with the rightfully named Centering and Grounding Flow. The Green Yogi is an eco-chic yoga studio in Manhattan Beach specializing in Power Vinyasa and prenatal yoga. 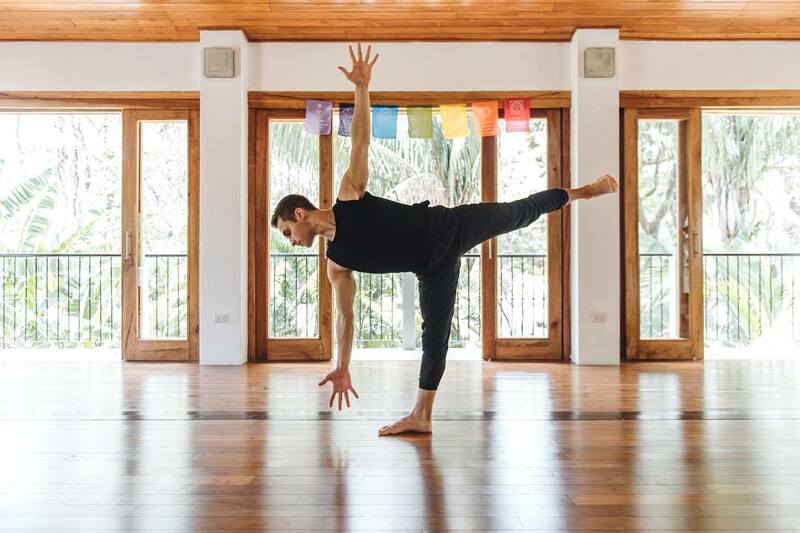 In addition to leaving an ultra-light environmental footprint, The Green Yogi’s small studio size helps to create an intimate connection between instructors and students. Classes are high-energy and music-filled, making sure you’ll be leaving red in the face but with green on your mind! 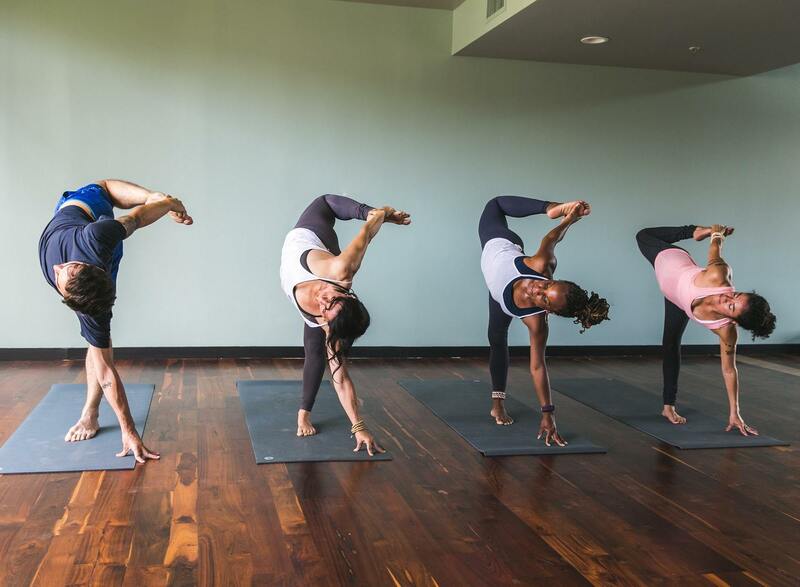 Set and Flow on North La Brea Ave. brings a modern take to the traditional practice of yoga. 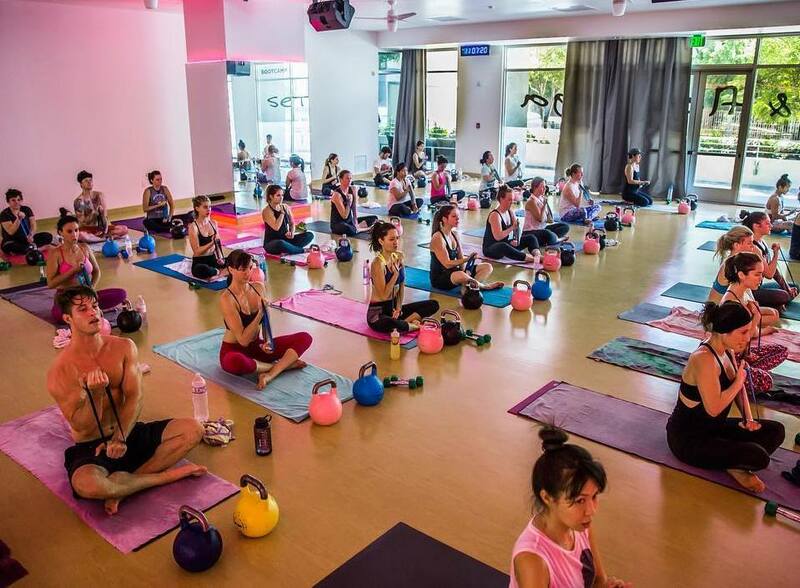 Angelenos are set to find their flow at classes like Beatz and Bells Bootcamp 60 and Hot Power Flow 60. With three giant workout rooms (10,000 sq ft. a pop), Set and Flow uses their mammoth of a studio to host a huge yoga community as diverse as LA itself. At Yogaraj in Santa Monica, yogis practice to lift their spirits, open their hearts, sharpen their minds, and nourish their bodies to tackle the everyday trials of being human. 22 instructors compose the Yogaraj family, and you’ll be getting to know them quite well—you’ll pay each directly when sweaty and ready to leave for (only!) 10 bucks. 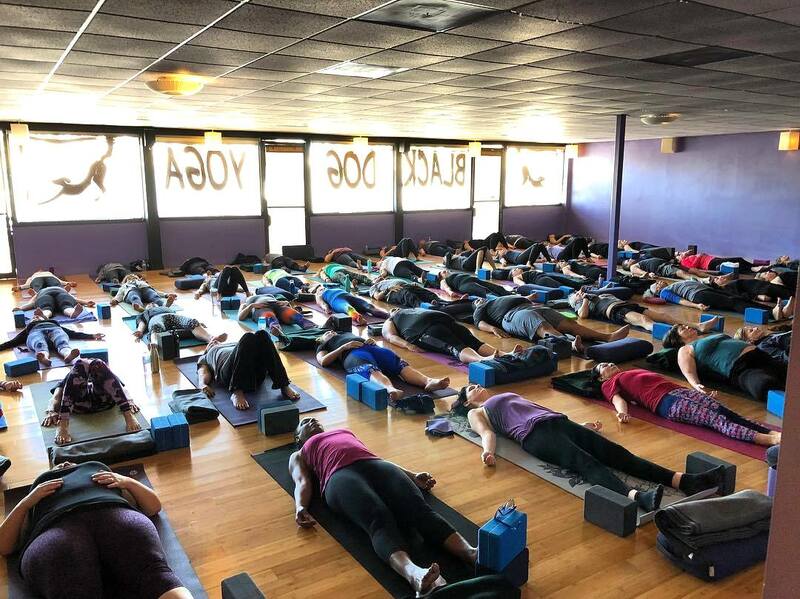 Yogaraj also regularly hosts community events, like sound baths (musically driven yoga healing sessions), that further connects yogis to each other and the curative properties of yoga. On Melrose Ave., Angelenos will find the original hip-hop yoga studio in Y7, but you can also catch their signature classes at their second studio in Silver Lake. A sweat drippin’, beat bumpin’, candlelit time, Y7 combines heated rooms and blaring music in an empowering duo that leads to deep breathing and a calming of the mind. Their two classes, We Flow Hard Vinyasa and We Flow Hard Slow Burn, will mesh best with yogis who handle gangsta rap like champs. In La Brea, Echo Park, and Venice, yogis can join Modo Yoga, one sweaty community driven by a seriously cool set of values. Each studio is guided and inspired by Seven Pillars (Be Healthy, Be Accessible, Live Green, Community Support, Reach Out, Live to Learn, and Be Peace), ensuring the people you’re sprawled in Savasana with are some grounded Angelenos. True to its core, Modo Yoga’s Karma class is donation-based with 100% of the proceeds going to charities—sweat to make a difference! 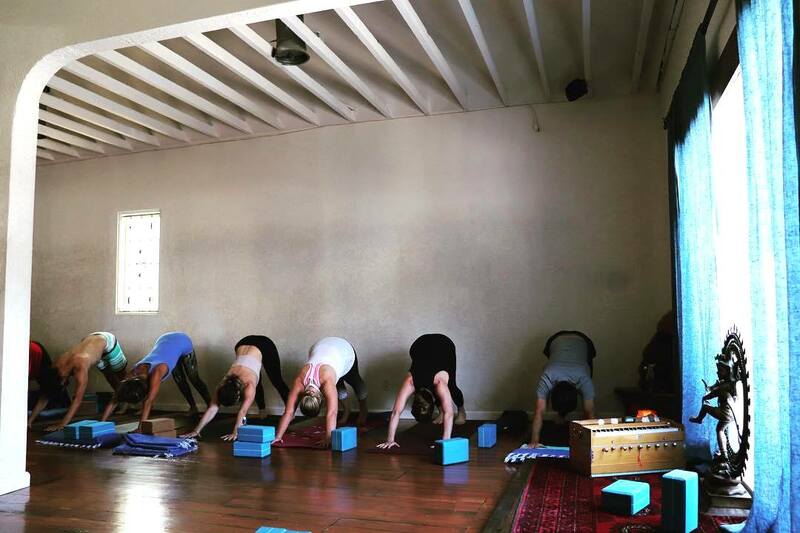 Hit up Yoga at the Raven in Silver Lake for a down-to-earth yoga experience. Seven instructors from The Raven take yogis under their wings to create a fun and safe space that nurtures and expands the heart through the practice of yoga. This studio offers classes like Core Awakening, The Practice Lab, and (our favorite) Restorative Yoga, where yogis take some time away from their busy schedules to simply bathe in the stillness of yoga, or as they say it: “become artists in the Art of doing nothing”! In Highland Park on North Figueroa Ave., yogis can soar with some aerial yoga or stay grounded at Kinship Yoga. This warm and simple studio focuses on the spiritual and meditative aspects of yoga through blending Hatha- and Vinyasa-style yoga techniques. Case-in-point: the Hot Kinship class. Come prepared (bring your own mat) and get ready to forge a sweaty deep kinship with other yogis in this tight-knit community! In Palms, Angelenos will come across Red Diamond Yoga, where they’ll make friends, sweat, and push their limits while surrendering to the act of self-studying (aka yoga). With rooms at a warm 82℉ (not outrageous), yogis polish the diamonds that are their bodies to the sound of music, and join in on some regularly hosted gems of events. Yogis will find balance in the Yin and Yang Yoga class, feel strong after a Power Fusion sesh, or flow into their weekend feeling confident with the Friday Night Flow at Red Diamond Yoga. 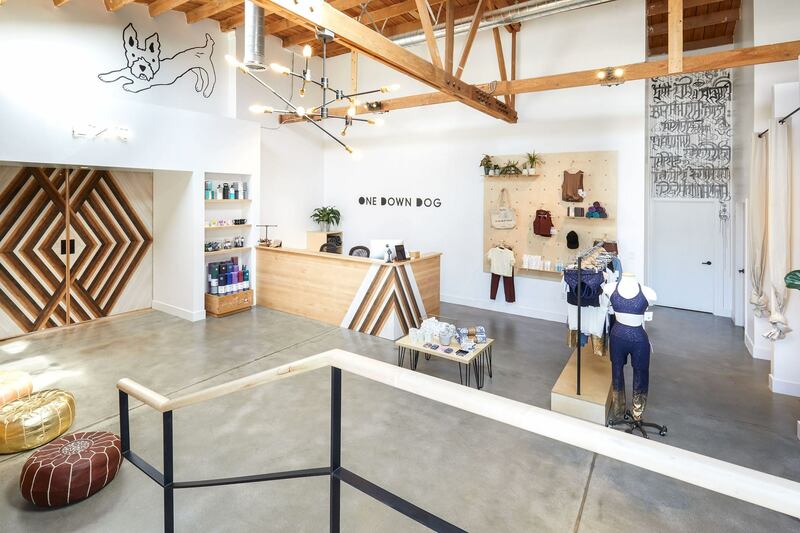 For those looking for a contemporary yoga experience in Silver Lake/Los Feliz, Eagle Rock, and Echo Park, be sure to check out One Down Dog. Priding themselves on having fun as members of the “odd fam,” the instructors and members of this yoga studio get down to yoga-dance parties while bumping music for a great time. If a kickass, feel-good yoga community is what you’re after, come with a yoga mat and open heart. You can zen out at this studio without the hassle of paying for a yoga membership or signing up online. That’s because Santa Monica Power Yoga & Meditation in Santa Monica is donation-based — all you have to do is toss a few dollars in the donation box on your way out of class (you can donate as much or as little as you want, but $15 is recommended). That way, you can enjoy a 90-minute yoga flow at any time of day… without having to pre-pay. 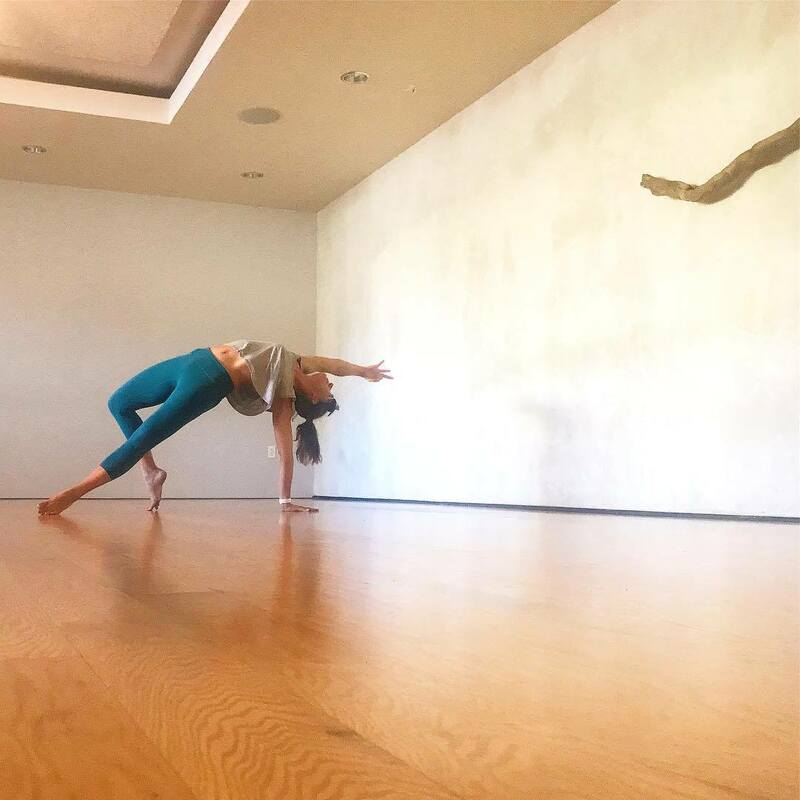 Aiming to create a mind-body-spirit balance that helps every yogi hit their desired level of fitness, AuraYoga on West Sunset Boulevard welcomes you into the 5,000 year-old practice. All classes at this studio focus on breathing and flow, especially the Aura Meditation course that emphasizes stilling the mind through mindful breathing and gentle stretching. And sign up for another enlightening class, Aura Chakra; it opens the chakras with a sequence of moves under the changing wavelengths of the studio’s lights (they strategically change the lighting). Earth’s Power Yoga on Melrose Ave., like many other LA studios, empowers yogis to change their lives by strengthening their bodies and minds. 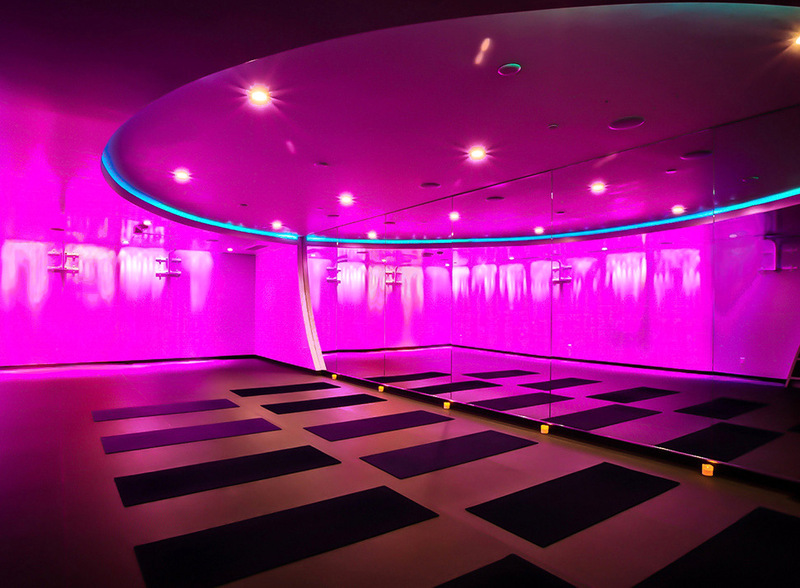 Unlike every other studio in LA, it offers beginners and veterans alike an amplified virtual reality yoga experience in a surround video room called Yogascape. That means “ambient fitness” and hot, flowing yoga with scenes from the beaches of Cabo to the outer limits of space. 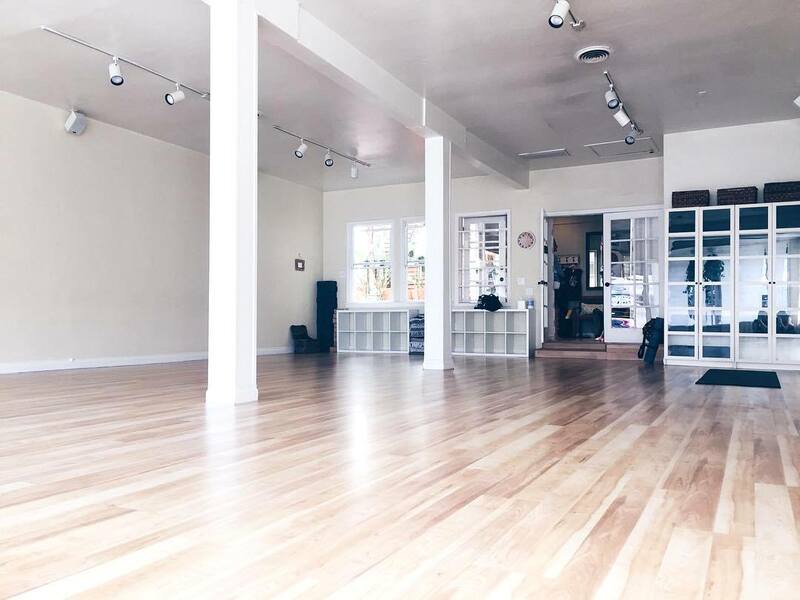 Looking for a refreshing yoga studio with an electric atmosphere in DTLA? Look no further! 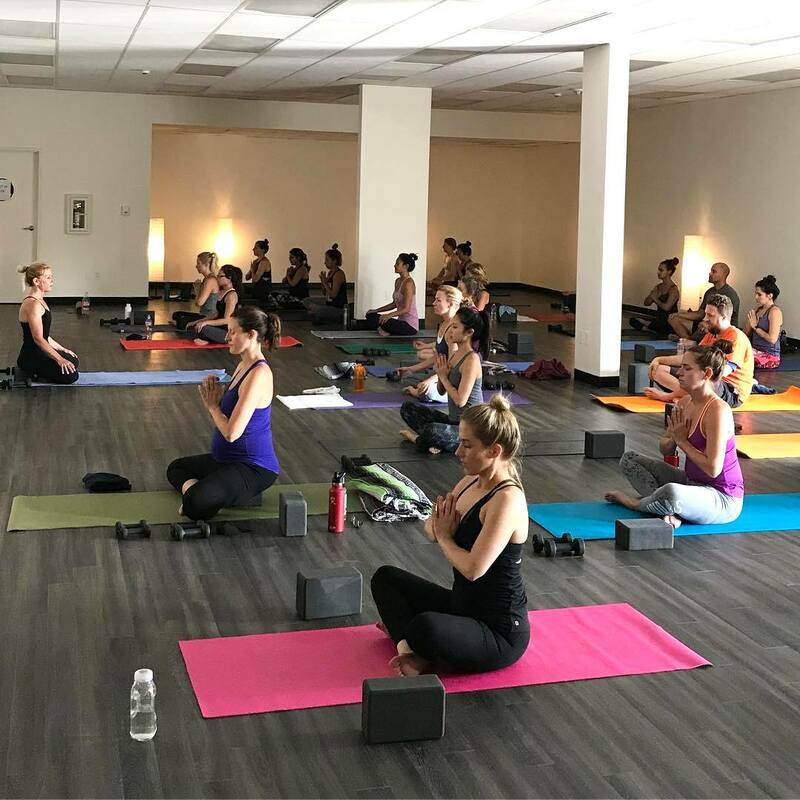 On Spring Street, yogis will find Evoke Yoga, where the space is simple, the playlists are energetic, and the teachers are uplifting and friendly. With classes like the Ultimate Booty Blast, Evoke Yoga truly evokes fun times with good friends. Though, you’ll be sweating more than your typical weekend hangout. Busy and don’t think you can drop on by? Sign up for the Xpress class to get your sesh in under an hour. There are two guiding principles at Sweat Yoga: flow on your own, and don’t take yourself too seriously. They know how to have fun and have created a space for you to get what you need out of your practice by inviting you to be your own guru! Classes are heated to the triple-digits, but they always monitor temps to keep you somewhat comfortable. 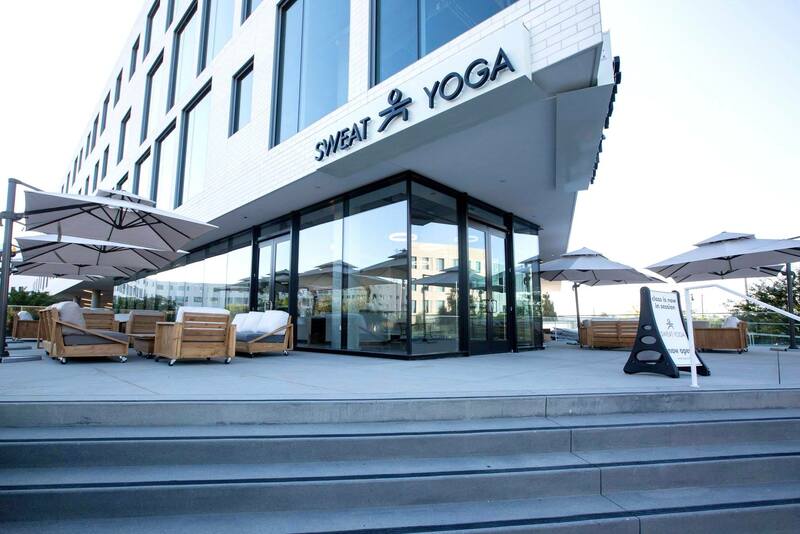 You can get your sweat on at any of their four LA locations (Santa Monica, Playa Vista, Westlake Village, and Little Tokyo). 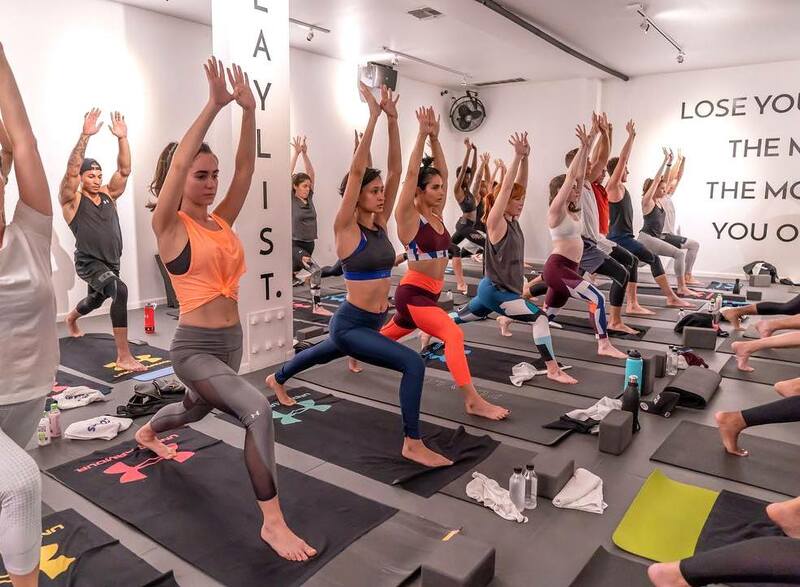 We aren’t saying that Hot 8 runs the LA yoga scene, but they do have six locations across the city. So no matter where you live, you, too, can experience a Hot 8 Yoga flow. 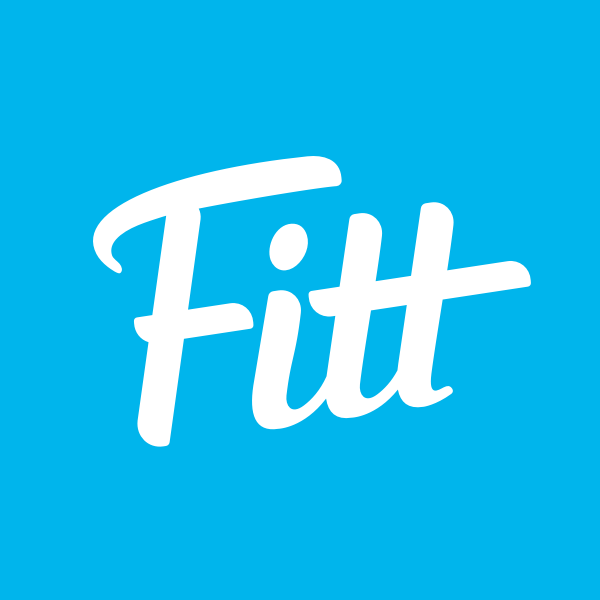 Their classes range from sculpt and Vinyasa to Yin and they’ve even added a few meditation and barre classes into the mix. Consider this place a true one-stop-shop for whatever type of yoga you’re in the mood for. 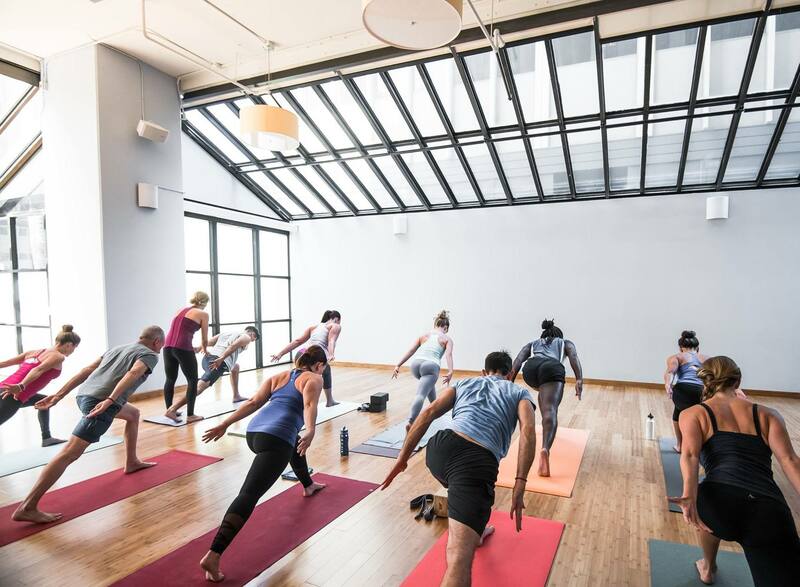 Classes are heated with what they call the “healthiest heating system” that protects the air quality within the studio, so you don’t have to worry about all the sweat you (and everyone else in the room) will be dripping. From the beachy design of the studio to the thought-provoking classes, what’s not to love about Love Yoga? Their class style is a blend of Katonah, Iyengar, and Vinyasa infused with nuggets of wisdom and breathwork. In addition to a variety of classes on the schedule, they also hold workshops and other events (Goat Yoga) that you won’t want to miss. Plus, they have studios in Silver Lake and Venice for eastsiders and westsiders alike. This music-based studio in WeHo takes their playlists very seriously — they even have a resident DJ. Their 60-minute signature Vinyasa classes will have you flowing to the beat all while building strength and increasing flexibility. They also have a sculpt format called The Remix, where you’ll add free weights and a bit of cardio into your flow. For a range of yoga styles suitable to all skill levels, check out Black Dog Yoga in Sherman Oaks. 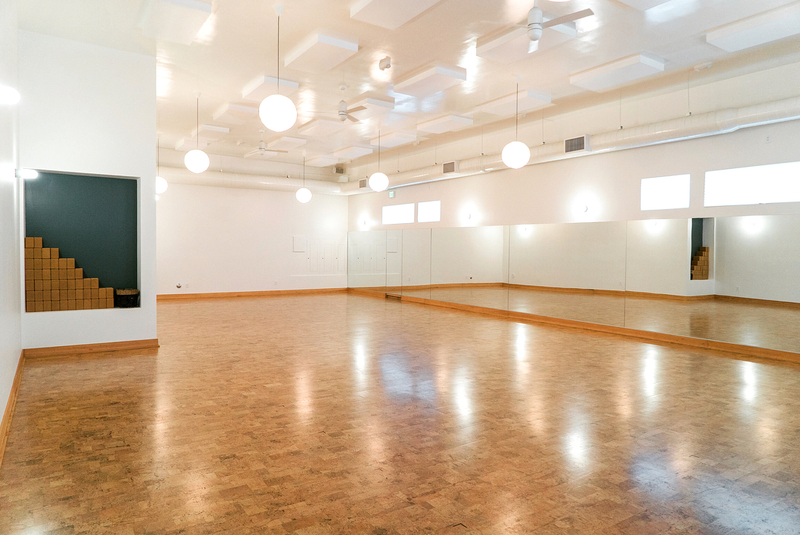 Between four spacious asana rooms and 34 instructors (plus complimentary tea! ), downward doggos have plenty to wag their tails at be happy with at this studio. Classes like the Flow and Go get us bouncing with joy while the Mellow Movement and Meditation let us catch a breath from our busy lives. With plenty of community events and workshops, Black Dog Yoga teaches even the oldest dogs most experienced yogis new tricks!